Mobile App Integration - if you get a mobile app from us, there is an admin feature that allows for taking photos with your phone, and directly loading them into the photo album. Volumes - organize photos into different 'volumes', each volume can be a category of events, or perhaps an event in itself. Mass Upload - optionally, you can upload a large number of photo files at once, they will then be auto-sized and ready to present. Member Photo Submissions - members can submit photos to be approved and added to volumes. Member Photo Albums - optionally, members can edit albums (volumes) of their own. 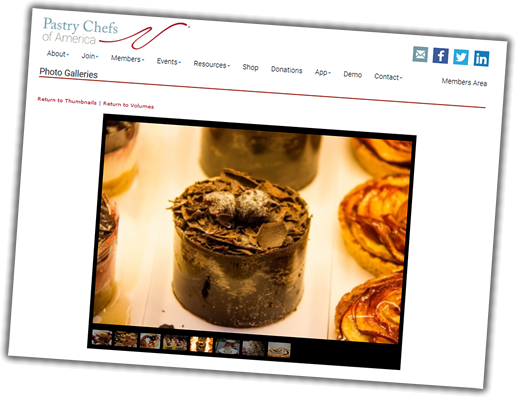 Can be useful if your members are businesses and want to present portfolios of work.